Shopping for something a little different? 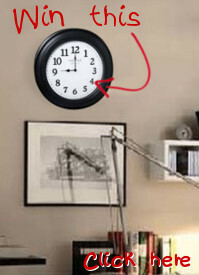 We may have just the wall clock you have been looking for. These ornate sculptures feature intricate ironwork, detailing and scrolling. Providing something a little fancier, or more intricate than a regular clock, we have great ornate clocks at even greater low prices.